In the Ears.... Out the Hips! | Thoughts on studying, performing and teaching the art of Middle Eastern dance. 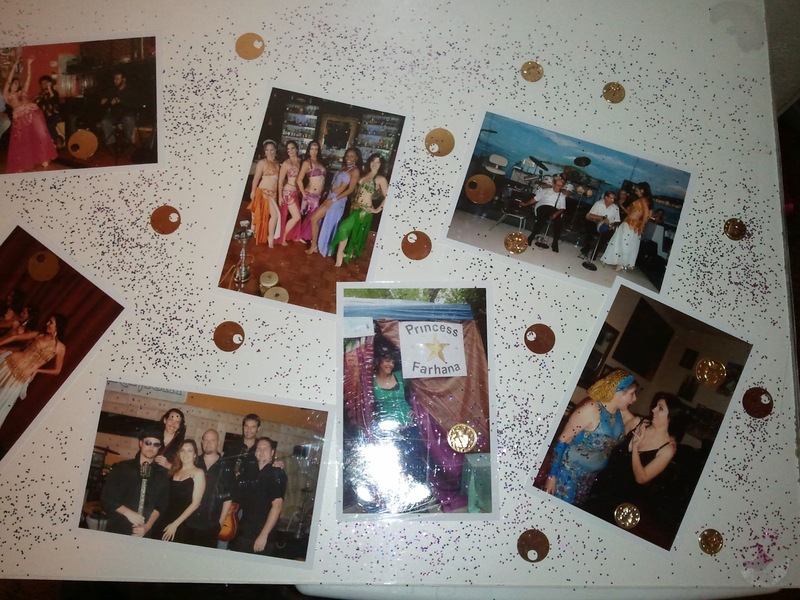 When was the last time you failed at one of your belly dance pursuits? You haven’t lately? That’s too bad. If you have, good for you. Last week I was listening to an episode of The Accidental Creative and this topic really hit home. Failure is good – and it’s good for you. Not only does it keep your feet on the ground, failing means you are stretching the borders of what you are willing to try in expanding the range of your skills. If we take challenging new workshops, we can find ourselves struggling through unfamiliar drills or long choreography. A lot of experienced dancers shy away from this kind of situation because they’re afraid of being seen by their peers doing anything less than perfectly. There is so much to learn in belly dance and the associated regional folkloric styles; we could live and dance a full lifetime and still have new ground to cover. One dancer who I’ve always admired in this area is Helena Vlahos. When she still lived here in Phoenix, she would regularly show up at the workshops of dancers who weren’t even born yet when she was already a star on the ethnic club circuit. Not only did she show up with a gracious attitude, she was never afraid to try things someone else’s way and say with good humor “that’s hard, I’ll have to practice that.” A great example for us all. 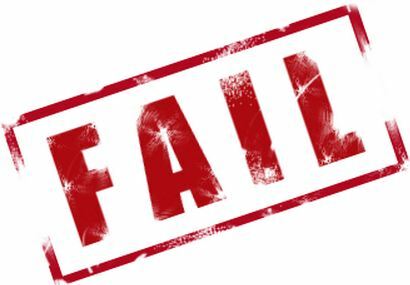 There’s another up side to this kind of failure – one that is especially important for belly dance instructors. I firmly believe that it is essential for teachers to consistently challenge themselves. Not only does it grow your dance skills, it reminds you of how your students feel when they are learning new material from you. New skills may feel awkward or require new levels of coordination they haven’t yet mastered. As teachers, we should never lose touch with what that feels like. Personally, I relish this kind of failure, which is only temporary if we persevere.I try to follow Helena’s excellent example and laugh at myself, then get back to work. I find that things just beyond my immediate reach don’t discourage me – they fire me up. It’s why I keep going back to aerial yoga and knitting, even though I’m not particularly good at them. Some failures are a little harder to take. I’ve produced some truly innovative belly dance shows with quality dancers and musicians… that were all but ignored by my dance community. The financial hit is just as tough as the emotional hit, but hey – this isn’t a business for the thin-skinned or faint of heart. Do I regret these risks? Not at all. It was awesome – too bad you missed it! I may have lost enough to buy a Bella, but I know that I pushed my creative and production experience to new ground and even more importantly I learned a ton along the way – that will never be lost. When belly dance opportunities present themselves in the form of a visiting instructor, a new style or the inspiration for a show, maybe we shouldn’t ask ourselves “why should I?” but rather “why not?”. No, it might not work. Or it might. Either way, there is a “win” in there somewhere if you’re willing to look for it. We need to step away from the idea that failure to fully reach the goal line is a badge of shame. It’s a badge of courage that you try with all you’ve got. It Hurts So Good vs Hurts So Bad: Are You Working Hard in Belly Dance Class or Hurting Yourself? As an instructor, I sometimes hear a student (usually a beginner) say “that hurts” when learning a new movement. Keeping my students dancing safely in belly dance class is a top priority for me. When I hear this, it’s time for me ask questions and figure out whether this person is working hard in class or potentially hurting themselves. It’s moments like these when I’m glad I put in the time and effort to get a university degree in exercise science. If you have ever been in this position as a student, or an experienced dancer practicing something new, this is an important time to stop and evaluate whether what you are experiencing is a “good” hurt or a “bad” hurt. The first thing to consider is if you (or your student) have any past or current injuries or undiagnosed aches and pains from outside of class or practice. Has your back been a little achy since you helped your friend move that couch? This may not be the time to push hard; wait a few days and see how your feel. Get any persistent conditions checked out and follow your doctor or physical therapist’s instructions for activity. If a doctor or therapist has given you guidelines on what to do – or more importantly, not to do – follow them. If your belly dance instructor advises otherwise, politely decline. It is not within an instructor’s scope of practice to counter these instructions and they shouldn’t put you in that position. If none of the these are factors, then you need to honestly ask yourself if it’s just hard. Are you just feeling your muscles working, perhaps burning a bit when you are drilling for several minutes at a time? This is just what work feels like. Good for you for putting in the effort! It will pay off. You may be a little sore tomorrow, but it will pass quickly and your body will adapt and become stronger. If a movement is causing a sharp or shooting pain with each repetition, or you feel your joint “sticking” or “catching” each time – this is a sign to stop and get help finding answers. You could, for example, be dealing with an inflamed nerve, ligaments rubbing over boney bumps or loose bone fragments in a joint. If hip movement is causing low back pain this is also a warning sign. It isn’t necessarily something serious, however. No need to panic just yet. You may just need to correct your alignment or where you are driving the movement from. If so, it is the instructor’s job to straighten that out. Make sure you ask for help. Be specific in describing what you are feeling and what part of the movement brings it on. If you are having low back pain or tension with hip movements, pay careful attention to how you are positioning your pelvis. Barring other back issues, this is one of the easiest “hurts” to fix in class. If addressing these does not stop the pain, then perhaps your teacher can offer a modification or alternative movement – not all movements work on all bodies – especially as we get older. Of course, use your judgement – only YOU are experiencing what’s going on in your body. When in doubt, check it out – with a medical professional. Dance safe.. dance for life! Flexibility is essential in belly dance. It gives us the range of motion to complete our movements with ease and grace. The field of exercise science has done quite a few flip-flops over the years in its recommendations on safe and effective stretching. As new research emerges, these change and improve . If your main experience with flexibility exercises came from your high school P.E. class, or someone who isn’t up to date on the most current knowledge, it may be time to re-think when and how you stretch. The most common type of stretching is static stretching and this is generally considered the safest and most effective for the majority of people and their activities. In static stretching, you take the position to the point of a slight stretch, without causing pain. Hold the position for 15 to 30 seconds, breathing and consciously relaxing the muscle for best effect. This is repeated 3 to 5 times for each side. Dynamic stretching, for example bouncing down to touch your toes, is not a recommended stretching method for most people. While it does have its applications in certain sports, it is not necessary or recommended for us as belly dancers. This type of stretching can cause muscle strains and tears – stick to static stretching. The American College of Sports Medicine’s exercise guidelines for the general population recommend flexibility exercises be done at least twice a week. In training for activities where range of motion is a major feature, such as dance or gymnastics, more frequent – even daily stretching is beneficial, provided it is done following activity when the muscles are warm. The muscle groups that are most likely to be tight are the hamstrings, hip flexors, calves and chest. Be sure to include them all in your flexibility routine. Once upon a time, it was thought that stretching after a strenuous workout prevented DOMS (Delayed Onset Muscle Soreness). This is the kind of soreness that hits you the day after an 8-hour dance workshop and sticks around for the next two days. We now know that it won’t prevent DOMS , but it won’t make it worse either. Proper stretching after activity is always a good idea. Research in the past 10 years has recommended that stretching be saved for post-workout, but that’s not the whole story. The ACSM does recommend this as a general rule, but has also stated that for activities such as dance and gymnastics, which require a high degree of flexibility in performance, some stretching should be done before activity. It still needs to be done on warm muscles however, so a dynamic warm up needs to comes first. Deep, long-held stretches are still most effective after dancing. New Year’s Day is right around the corner. Many people will be making resolutions to get in shape. If one of your goals for 2013 is to improve your dancing, and your overall fitness, it’s important to know where your personal starting line is. When we know where we are now, we can accurately look back a few months from now and applaud how far we’ve come. Small successes are the very best motivators! You could hire a personal trainer and let a pro guide you, but if that isn’t in your budget or your schedule, you can still get a read on where you are fitness-wise with a few at-home tests that require little to no equipment. You could do them all by yourself, or buddy up with a dance friend and cheer each other on. Do be sure to write down which tests you do and your results so you can compare them to your results on the same tests a few months from now. Doing all of these tests will give you a more comprehensive view of your strength, muscular endurance, flexibility and cardiovascular fitness, but if you are particularly interested in just a few of these areas, pick just the ones that fit your needs. Follow the links for detailed descriptions of each exercise. Holding the wall sit position tests the muscular endurance of your quads and glutes. This is an important factor in sustaining a good long shimmy! Get in position, start the timer and stay there as long as you can with proper form. Record your results. Holding the plank position tests the muscular strength and endurance of all your core muscles. Nothing – and I mean NOTHING – will have as far reaching improvement on your dance as a strong core. It improves posture and balance, prevents back injury and increases the integrity of all your movement. Start the timer, get in position and stay there as long as you can hold your body in a straight line. Be honest – no lifting or sagging! Record your results. A strong upper body supports your dance posture and keeps your arms from drooping out of position. Depending on your current level of strength, you can choose to test yourself using a wall push up, a bent knee push up or a standard push up. How many can you do with proper form? Record your results. The wall jump tests how much power you can generate from your lower body. Position yourself facing an open wall so that you can jump up and touch the wall. Squat down and jump up to touch the wall at the highest point you can. A partner can mark the spot as you touch it so you can use the tape measure to record your results. If you don’t have a partner to help you, put some baby powder on your hand. This will leave a mark on the wall this is easy to wipe away once you’ve measured it. Record the best of 3 tries. Having good balance brings grace to your dance – it also keeps that sword up there where it belongs! Set your timer and get into tree pose. How long can you stay there without putting the other foot down or grabbing onto something? Record your results – on BOTH legs! The sit and reach test gauges flexibility in the hamstrings and lower back. There are a few ways to record this. If you cannot yet reach your toes, record the distance from where you can reach to the soles of your flexed feet. If you can reach past your toes, place the tape measure lengthwise down the shoe box and position your feet flat against the short end. You’ll reach past your toes and record the number of inches from your best try out of 3. You can also do this test one leg at a time. You may find that one side is much more flexible than the other – good to know! To do this, just bend one leg at the knee and let your knee open down toward the floor, keeping the test leg straight. Record the results for each leg. This is an alternative to the “1 mile run” test, which really isn’t for everyone. Jumping as fast as you can (which may not be fast – that’s OK), count how many times you can jump in a set amount of time. How long of a time frame is up to you. If you aren’t accustomed to challenging cardio exercise, you might keep it to one minute or even 30 seconds. It’s not where you start, but where you go from here! Count your jumps and record your results. Although there is plenty of norm and comparison data out there to rank fitness levels,but I believe it’s much more important to compare yourself to YOU. Your progress is best measured from the point where you started. Nothing else really matters. Having a realistic snapshot of you fitness at this moment will help you to figure out if your exercise routine is working to improve your dancing. How will I EVER learn this? It’s SOO fast! A few years ago, I was teaching my student troupe a new drum solo. Their heads were spinning – it was definitely challenging – and they said it felt “so fast.” As a teacher and choreographer, it’s pretty common to hear a comment like that when students first encounter new choreography. Why is that? What makes it feel so fast when it’s on time with the music, and the music itself doesn’t seem that fast? In my experience, it all comes down to everything being relative. The music isn’t fast – it’s just going faster than the student can execute the movements. It can also be that the music is moving along faster than the student can recall the next step. Usually, it is a bit of both in the early stages of learning new belly dance choreography. This is especially true with drum solos because they are often full of rapid-fire isolations and accents. The solution isn’t new or obscure – slow down the music to match the students’ current speed of recall and movement execution. Aside from easing frustration which interferes with learning, it gives the dancers time to fully complete each movement. This is HUGE. Along with posture,improving movement follow-through has one of the biggest payoffs in terms of performance quality. Big dance studios have had the ability to slow down music for rehearsal for years. They had expensive and bulky CD or cassette (remember those?) players that allowed them to run the music at whatever speed they needed. Right click anywhere in the window. Select “Enhancements” then “Play Speed Settings”. A slide bar will appear that will let you adjust the music speed. Thank you to my resourceful and clever private student, Pam for figuring this out and sharing it with me! Audacity is a free music editor program that does oh-so-much more than just slow down music. In this program you can actually record and keep several speed versions to burn on a CD or load onto your iPod. This is especially handy if, like me, you use an iPod Mini that doesn’t run apps. 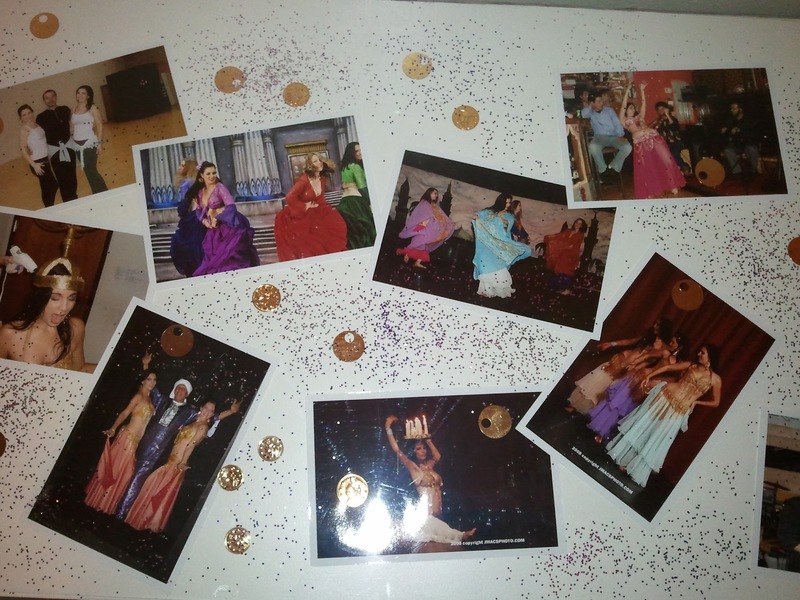 While we’re on the topic of Audacity, I can’t stress enough how handy this free and easy-to-use program is for bellydancers! You can shorten songs that are too long. You can edit together, fade in and out or blend pieces for a smooth show. I recorded, edited and compiled all of the In the Ears, Out the Hips Podcasts entirely in this one program! If you carry your belly dance music on your Android phone, you can try the free Audio Speed Changer app. This will let you select mp3 files you’ve stored on your device and play them back at your selected speed. Connect your phone to your stereo’s audio input line with a cable and you’re ready for rehearsal! According to this blog, playback speed control is built right into the iPhone’s iPod app! The linked blog does have instructions on how to access that setting, although they only mention going faster. I don’t own an iPhone, so I couldn’t tell you for sure if a slower setting is available – you’d think it would be. If you do have one, check it out and let us know in the comments below. There is also a free iPhone/iPod Touch/iPad app available called Anytune. As familiarity with the movements, muscle memory and actual memory improve, you can gradually increase the speed to 100%. By using this practice technique, you are sure to see better end results on the stage. So next time you’re staring down a choreography challenge – as a student or as an instructor – check out some of these options. Take a breath…… and slow down! 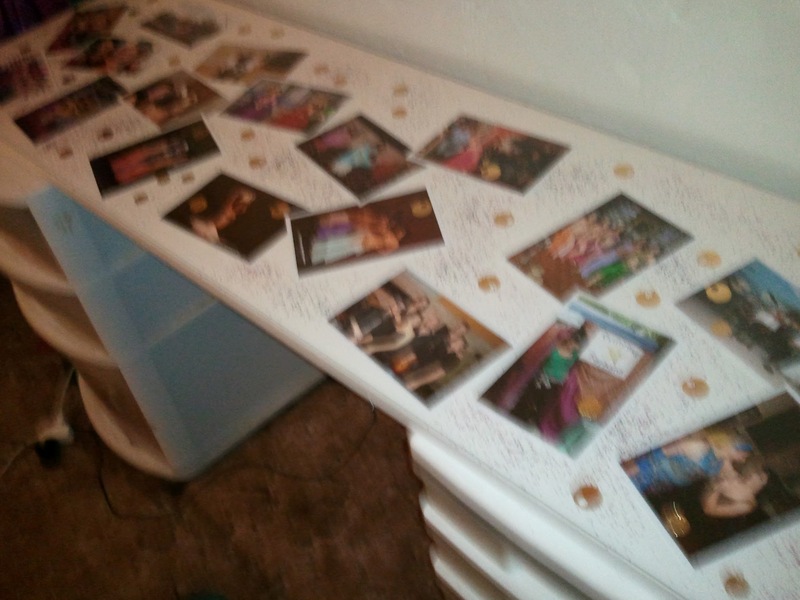 This spring I looked around my bedroom and decided that it had reached critical mass – something had to be done. I was getting ready for a gig. I pushed aside a pile of clothes on the floor and sat down on my pillow in front of the lighted makeup mirror perched on top of a foot locker and started my stage makeup. Yes, this had been my makeup setup since I moved into my tiny 1928 house four years ago. One tiny closet built in an era when people likely had 2 work outfits and a set of church clothes just doesn’t cut it these days. It’s even worse when a not-so-tiny costume collection crowds out the un-sparkly wardrobe. For weeks I ruthlessly cleaned out boxes, getting rid of clothes and books and other what-nots that I could do without. I even decided to let go of some costumes. It felt good to downsize. My room feels SO much bigger, I can move around without picking my way between piles and I can even do my morning yoga in there now! I knew all along that a proper makeup space was going to be the reward. I set up two drawer stands and went to Home Depot for a finished board for the top. As I walked out to the car with a fresh looking white melamine shelf, I thought about hanging pictures… then I had another idea… and my dream of a makeup table got that much better. 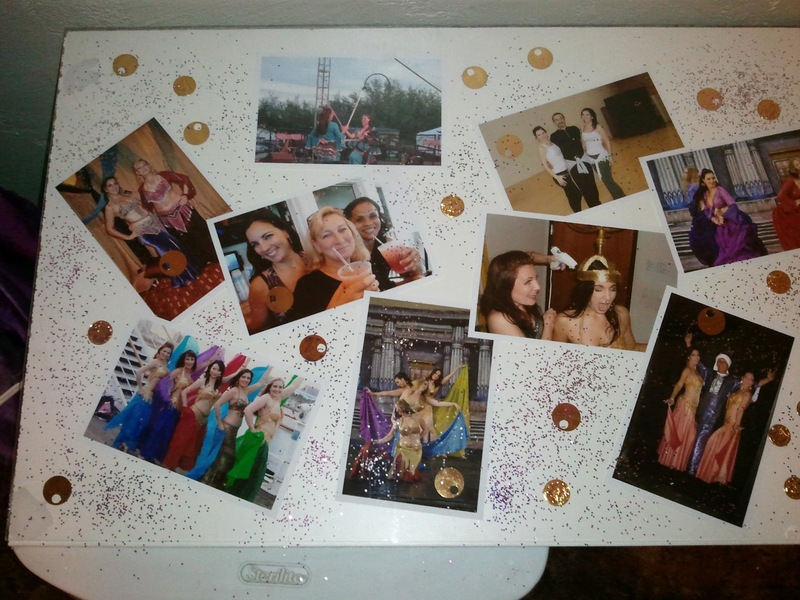 My new makeup table is covered in a collage of fond dance memories and the fabulous women I’ve shared them with, surrounded by fallen costume coins and of course…. GLITTER! I arranged them all on the board then covered it with a piece of glass for easy cleaning. The psoas seems to have become the trendiest muscle in belly dance over the past few years. Now, I’m not saying that dancers are only now using it – but they sure do talk about it a lot more in the past 5 years. If you asked Souhair Zaki where the “psoas” was, she may well have pointed in the direction of a shipping canal, even though she used it extensively for all those juicy, deep pelvic movements so characteristic of Egyptian style raqs sharqi. No less than four times in the past two years, I’ve been in” big-name” workshops where there the location and/or the action of the psoas was incorrectly identified. If we’re going to share anatomical information in a class or workshop, we better be getting it right – especially if the workshop is filled with local instructors who will be eager to pass on what they learned to their own classes. So, let’s cover some basic psoas facts…. The psoas major originates from the side of the lumbar vertebrae #1-5 and runs down through the pelvis to attach to the interior of the upper thigh bone. (See the illustration above). You can get a nifty interactive version of this here. The iliacus muscle runs from the inside of the crest of the hip and joins the psoas major at its attachment on the thigh. Together these are referred to as the iliopsoas, but they are two separate muscles. There is a psoas minor, but 40-60% of people do not have one – surprise! In those that do, it also begins at the first lumbar vertebrae but attaches near the pubic bone on the pelvis, not the thigh. You can check out its location here. One action of the psoas is lateral flexion of the trunk (side bending), assisted by the larger oblique muscles. 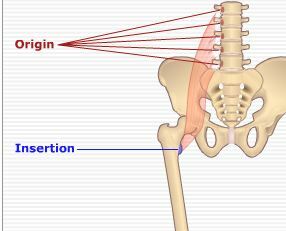 Another action is flexion of the hip, whether the torso moves toward the leg (bending forward at the hip), or the leg toward the torso (raising leg in front). Again, it has an assisting role, with several other larger muscles involved. It also rotates the thigh externally – think of the “turned out” position of ballet. Tightness in the psoas can cause lower back pain because it can contribute to compression on the lumbar vertebrae and intervertebral discs. Chances are if the psoas is tight, its neighbor muscles are too. It’s best to let a doctor or physical therapist sort that out for you. Now that you know where it is and what it does, I bet you can think of several belly dance moves that call on the psoas; for starters, our basic posture with the pelvis in a neutral position. We also engage the psoas for any movement that tucks the pelvis for accents or shapes such as interior hip circles (aka “ummies”) or undulations. It also gets to work on leg accents that brush forward or sweep to the side, like you might use leading into a turn. “From Cairo with Love” (5:41) The opening track is a strong entrance piece. After an initial upbeat section, it moves into a qanoon taqsim and then forward into a Malfouf melody. It changes gears with a sharp stop and glides on with a keyboard and qanoon melody that slows down and then picks up into a heavier Saidi passage with a keyboard mizmar. There is a reprise of the Malfouf melody at the close. Its many changes keep things interesting and would make it an impressive stand-alone performance piece as well as an entrance. “Shouf Il Banat” (4:07) Are you in the mood for some Sha’abi? This CD has you covered with this fun and poppy song. It has a bright, highly produced sound and the vocals create some cute accents that you won’t be able to resist hitting with sassy dance moves. This is a perfect pick for getting your audience up to dance – the civilians (aka non-dancers) will definitely be able to relate to this style of music. “Zena Zena” (4:27) This track opens with an energetic drum and has a “remix” kind of feel. This song strikes me as a split-personality; it has a very modern drum machine back beat but the violin and keyboard melody is very upfront and classic. This would be a good time to disclose to you, my dear readers, that I have a strong distaste for drum machines. Once I identify them, it’s *all* I can hear in the song and the music takes on a soulless quality for me. If they don’t bother you, you might just love this song! “Tabbel Wa Wahid” (4:01) Watch out – it’s a Sha’abi fake out! This track starts out like a cute Sha’abi and turns into a lively drum solo! I think it would make a fun class performance piece. The drum solo pace is nice and full of interesting riffs that are still approachable for student choreography. It has a clean sound and a crisp finish. “Silence of the Nile” (4:29) I think this is my favorite track on the whole CD. It starts out with a ney solo soon joined by a meditative tabla. Both instruments pick up the pace and I find the ney melody especially inviting. It is full of lots of stops, accents and detail. This track is very unique in that it’s like a drum solo with instrumental additions. It takes a complete turn at 2:20 that practically feels like a completely different song (I bet you could use it edited!). The second half is more modern with keyboard and Oriental styling, and some Saidi elements. Taken from the beginning to the end, it almost feels like a mini-musical tour from folkloric to Oriental. I wonder if that’s what the musicians had in mind – there are no liner notes on the CD. “Hilwina Hop” (3:14) Another fast, poppy cut – this one is almost comically fast! If you want to light a fire under your class for a fast travelling drill, this song would do the trick. Seriously, click the link and listen to the sample. “Artist Bros.” (2:25) Let me first say that I really appreciate the lack of drum machine on this track – it sounds real and raw. Two drums, zills and a tambourine. I dig it. It has good energy and nice clean build to a finish. If you close your eyes it’s like the musicians are in the room with you. “Warda” (4:52) This classic makes a beautiful entrance and this version is nicely instrumented with has a pace you can really sink into. It’s got all the goodies like a quanoon solo and spooky Zar transition into the fast and fun closing passage. This is one of my favorite performance songs. And…. it falls into that “under 5 minute” mini-show category that is so useful for showcases where your slot is limited but you want to show your dance range. “Habibi Ya Asaf” (4:35) This cut is one that is better suited for class than for stage, in my opinion. It is moderately fast and remains steady throughout. You can get *lots* of laps of walking 3/4 shimmy in with this song. “Ya’ nawaim” (3:14) We’re heading to the countryside with this folksy track. It has an irresistibly heavy feel that just might yank you out of your seat! There are alternating male and female vocal sections. I think it would make an interesting group performance piece, playing off the vocals. It would also work well for Saidi zill drills in class – the tempo is in the sweet spot for practice and the down beat is really clear for beginners to hear. “Lissabri Hadoud” (3:44) This song has a pleasant violin and keyboard melody, layered with interesting drum ornamentation. It would make a nice mid-show piece, especially for a restaurant or club venue where you’ll be dancing your way through the audience. Near the end, it slows down to a short oud taqsim then resumes the pace of the rest of the song. “Khallina Ho” (2:25) This is the last drum solo on the CD. It has a nice mix of riffs – some were “deja vu” moments from other solos. but it’s all good stuff. I would consider this an intermediate level drum solo. “Bastannak” (3:54) This track is a lovely performance piece. It has a soft keyboard violin opening and a flowing sound. I like the mix of drum flourishes and instrument variety. This is just the kind of piece you can improv to often and find different things to dance to with each listen. At the same time, it’s a nice even pace for class combos with the added bonus of cultivating their ear for richly arranged Egyptian music. Everybody wins. Making the Leap to Live Music! 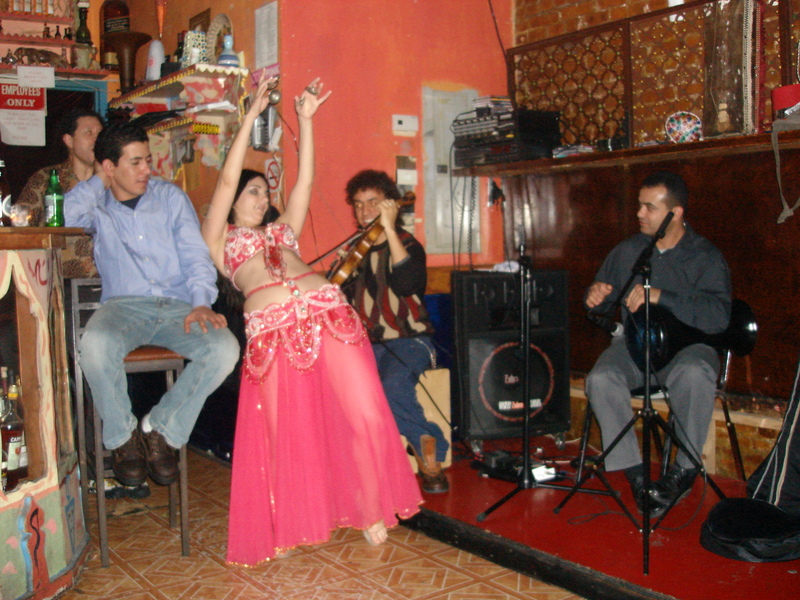 Performing at Tagine in New York City with Rachid Halihal and Majdi Kurd. A dancer’s first solo is an exciting and scary experience, but the first live music performance can induce a whole new level of stage fright – even in dancers with plenty of performance experience under their belt. Dancing to live music can – and should – be a thrilling experience for both the audience and the dancer, but as with most worthwhile things, there’s a hurdle to jump or a challenge to face first before you can claim the thrill. Spontaneous creative collaboration is the height of performance to me – I’ll take live music over recorded any night! When I think back over the “golden moments” I’ve had so far, they have all been live music situations. There is an undeniable magic that can happen when you open yourself up to this possibility. Know the standards and classics of Arabic, Turkish and Greek music. It will give you some peace of mind. It will also increase the odds that the band will play something that you are familiar with. Even if they don’t play a standard, by being acquainted with well-known and popular songs from these genres, you will get comfortable with the common features of belly dance music from different regions. Work on your improvisational dance skills with an emphasis on channeling the melody and rhythm. I’ve said it before and I’ll say it again…”in the ears, out the hips!” Practice staying “present” in the music and dancing to the elements that come forward and to your attention. Part of the artistry in improvisational dance is that each dancers hears and feels the music a little differently. You may even hear and feel the same piece differently on different days. Today the deep underlying rhythm may draw you, tomorrow the flute melody may be calling your name. Practice following your intuition; this is not a right or wrong scenario. Learn your rhythms so you can navigate your way through unfamiliar songs. Face it – you can ask for “Miserlou”, “Alf Leyla” and “Sawah” and the band leader may nod and smile, but don’t be surprised if they play whatever the #>%$ they want! Sorry to burst your bubble. In the case of long Egyptian belly dance classics like “Enta Omri”, they will likely play a few selected sections. They may not be the same sections in the 6 minute version you have on your CD! I’m not saying this to scare you, but rather to point out how important it is to be able to find your way through unknown music using skills and strategies. There are some bands that will give you exactly what you request and that’s fabulous – but hope for the best and plan for the worst. Ask a dancer friend to make you a CD of 10 danceable songs that are not “classics” or things she knows you are familiar with. Do the same for her and trade CDs. When you’re practicing, play 1 or 2 of those songs and dance through whether you like it or not, whether you know it or not – no excuses. Dance on the rhythm. Dance to reflect the melody lines of each instrument. Try to catch the accents and changes as they occur. Your instincts and reflexes will get sharper with practice – I promise! When you’re on with a live band, you have to keep the show going no matter what so learn to dig deep and push yourself – it’s far better to get used to it in your living room than in front of an audience! Let me tell you about the wedding gig where I had to dance to an Afghani accordion… really! Once upon a time, before I learned the lesson of avoiding a “middle man” when booking a gig, I arrived at an Afghani wedding only to find that they had no CD player (this was before the dawn of the iPod). They only had a cassette deck and I had already abandoned those. “That’s ok”, the host cheerfully told me, “Uncle Mo has his drum and Uncle Ali has his accordion. They’ll play for you!” And so I proceeded to do a 45 minute show(they wouldn’t stop!) to Afghani accordion and drum music. I knew nothing about Afghani music, but I grooved into the drum line and opened myself up to playing off the accordion melody. Even though Uncle Ali didn’t speak a lick of English, we communicated plenty and it turned out to be a great show for an ecstatic audience. “Belly Dance Mirage” by Ya Salam Orchestra has 13 tracks with a nice variety for any cabaret dancer looking for performance music. Among them, there are four drum solos ranging from straight-forward to complex. I would consider 5 of the songs to be “classics”. Ya Salam’s renditions bring something fresh making them worth adding to your library even if you already have a few versions of these standards. For the dancer who is just building their classics library – as every new belly dancer should – this CD has lots to offer. Nagwa (4:42) This CD opens appropriately with an entrance piece. Nagwa has a very modern sound, heavy on the keyboard. This track is full of tempo changes with plenty of fun hooks, accents and pauses which make it a wonderful performance piece in the “under 5 minute” category. Bahlam Beek (4:27) Whenever I hear this song, I am immediately transported back to Morocco’s New York City studio and her weeklong intensive. We spent two days learning a choreography to this in her distinctive “water torture” method of repeating practice. And yes, I DO still remember parts of it over 7 years later! Ya Salam’s rendition is true to the classic with a more “vintage” feel that the opening track. The drum line is clean and crisp behind a nice mix of ney and qanoon. Nile Cabaret (3:14) The CD’s first drum solo has a short modern keyboard into. A drum machine provides a back beat through most of the track. The drum riffs are clear, varied and fun. However, I think this track feels like it comes to an “unexpected” end. It doesn’t build to a finish but rather the keyboard comes in with a closing flourish. This could work nicely in the context of a full show if it was followed up with a song that continued the modern keyboard feel. Ashk Al Sabaya (4:36) Another track with a more “vintage” attitude, this one features lots of vocals from male and female choruses and a male lead vocalist. The inital upbeat intro slips into a mawal backed by keyboard and violin. When the singer wraps that up, it drops into a satisfying and folksy tempo. A quick online search didn’t turn up any lyrics for this song and none are provided on the CD. I really like this song, but as always, I recommend getting a translation before performing to music with vocals, especially if you are performing for an Arab audience – better safe than sorry! Ya Moustafa (4:08) Yes, it’s the old classic – but this version opens with a kickin’ little drum solo. The lively drum line sticks around in the background and then comes back mid-song for another mini drum solo before slowing down – just a little – for a violin solo. If you’re looking for a lively version of this classic with some “fire in the belly” , this may be just the thing. Bardawi Drum Solo (3:00) Another drum solo, this time without the keyboards. This one fires off fast, interesting and what I think of as “assymetrical” riffs – ones that don’t repeat the patterns- so it’s not easy to “follow” for improvisation. It gets hot and heavy at the end and has a strong finish. Once you’ve familiarized yourself with this track’s patterns, it would make an excellent and captivating performance piece for an experienced dancer. Fein Ghazali (4:49) “Fein Ghazali” alternates between even, mid-tempo melodic sections and taqsims with short drum transitions. The melody line is quirky, but appealing. I would not personally choose this track as show music, but its back-and-forth pacing give me ideas to use it as a teaching tool for improvisation and musicality in class. Zambulla Drum Solo (3:31) Drum solo #3 has repeating and more predictable riffs than “Bardawi” and would be a good choice for a new performer, but don’t take that to mean it’s boring. It has plenty of interest to hold the dancer’s and the audience’s attention. I think this would be a good “shimmy drill” track for a mixed-level class too. More experienced students could practice “catching” some of the drum patterns for a little improv practice while working on their shimmy smoothness and endurance. Zay al Hawa (5:15) Another classic – and this is one of my favorite versions of this particular song. The accents are crisp and the pace is perfect for a lively yet laid-back feel. There’s so much going on musically in this track to play with as a dancer – the tabla is full of fun flourishes even in the background, the melody has fun twists and there moments of soft sustain to add contrast. Great features like these are why classics have such enduring power in our dance. Good music is just good music. Tabla Zein (2:04) Short and sweet, Tabla Zein comes in fast and high-pitched then slows down, shedding layers of percussion one at a time till it’s just one tabla winding down to brief second of silence. Then POW! The whole percussion section hits back for a fast ending. Much could be done with a structure like that – have fun! Tamra Henna (4:20) This is another version of the classic, opening with a brief qanoon solo. Unlike the original arrangement, it leaves the well-known melody early for a meandering keyboard solo with lots of “drummy bits” in the background. It does eventually come back to the melody in the last minute to close. Moallem Tabla (2:08) Yet another drum solo! This one is also a manageable 2:00 length – just right for a class choreography or slipping into a short showcase performance. This one has some cute and funky rhythm patterns and plenty of fun energy. I especially like it “roll and pop” ending – Ta-DAH!